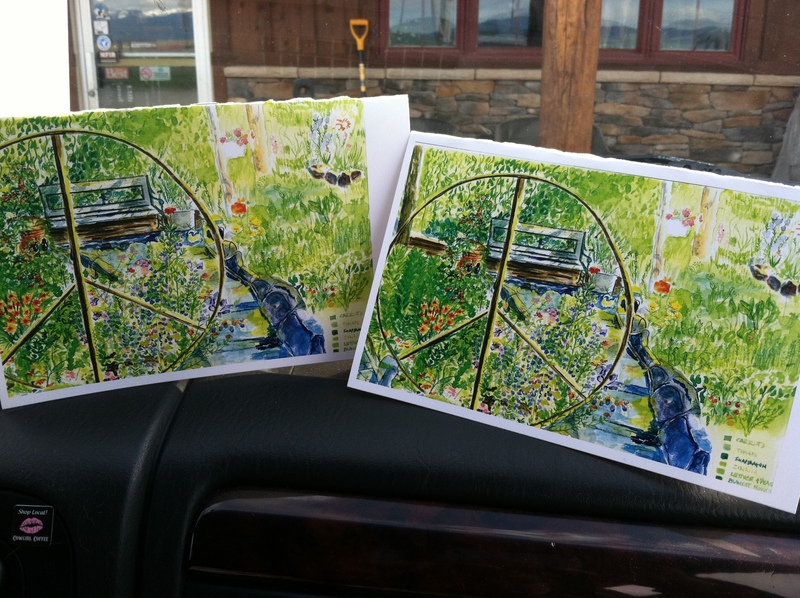 Yesterday I went to the printer and picked up my new Peace Sign Notecards! They came out soooo much better then I thought they would! Mike had this peace sign made for me for a graduation present when I got my BA from the University of Montana in Elementary Education in 2003! What a surprise to come home and see this giant peace sign in the garden! If you would like to purchase some of these cards or any of my other notecards you can see them at my Etsy shop here! This entry was posted in gardening and tagged Notecards. Bookmark the permalink.